This Friday 5/31 the Irvington Boat Club, located on the Hudson River in Irvington NY is holding a public open house to introduce potential new members to its waterfront facility. 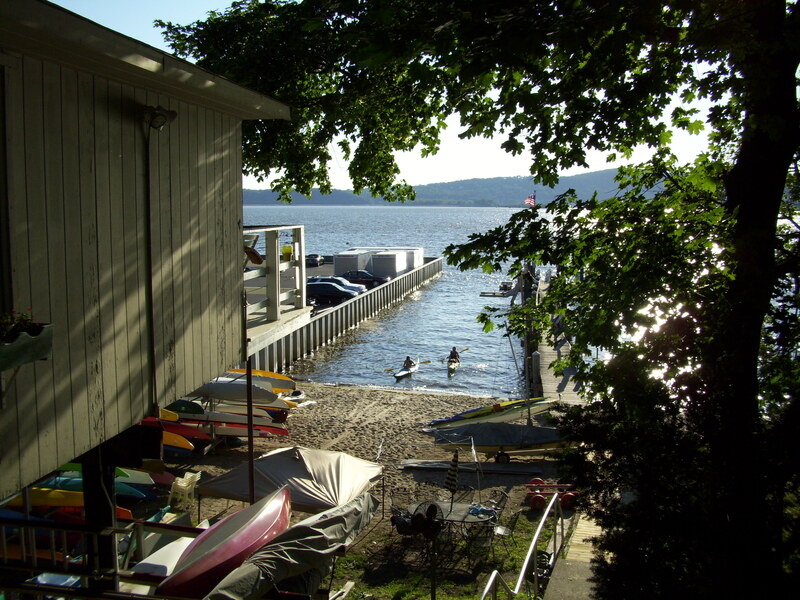 The Irvington Boat Club, established in 1958, offers a unique opportunity to watercraft owners in the Rivertowns. Membership dues are relatively low by comparison with virtually anywhere else on the Lower Hudson. You can store your kayak, canoe or other beach launched boats such as a Sunfish for $725 per year, year round. They can also accommodate power and sailboats, for in the water moorings, from 13′ up to and possibly beyond 30′, for only $750 total for the summer season. The facility also has a clubhouse with bathrooms, a kitchen and a deck overlooking the beautiful Hudson River. There is a beach for water based recreation, BBQ grills, Adirondack chairs on the pier and even a few club owned boats you can take out, if you are not sure you really want to own a boat just yet. Make a point of visiting them tomorrow and watch the sunset, at the most affordable boat club on the Hudson, from 5 PM – 8 PM.